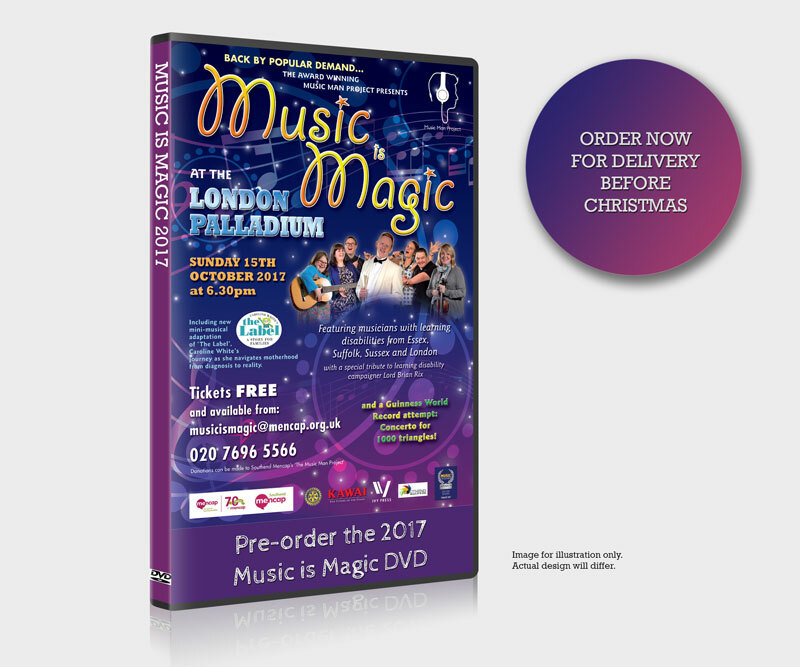 Reserve Your DVD Copy of Music is Magic 2017 Today! With less than a month until the Music Man Project returns to perform again at the London Palladium, we are pleased to announce you can now pre-order copies of the official show DVD which will be available from December, priced at £15. Produced by Paul Carpenter Films, the souvenir DVD will feature full coverage of the show from multiple camera angles. Demand for this limited-edition product is expected to be very high and customers are advised to reserve their copy in advance. You can now pre-order your copies for free and will be contacted near the release date in early December, to arrange your payment of £15 plus delivery. To reserve your copy today, please add the free pre-order to your basket and complete the checkout process.